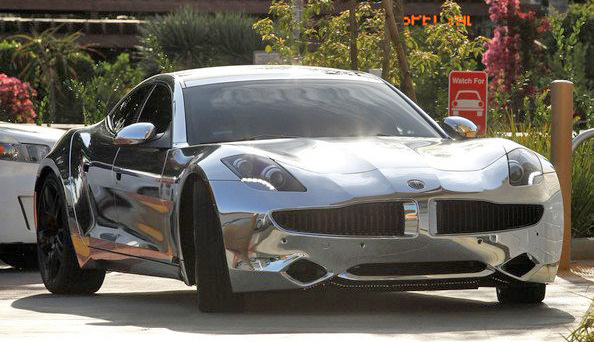 Justin Bieber just had his Fisker Karma wrapped in chrome vinyl. This car is one of the hottest cars out right now and looks even better wrapped in all chrome. 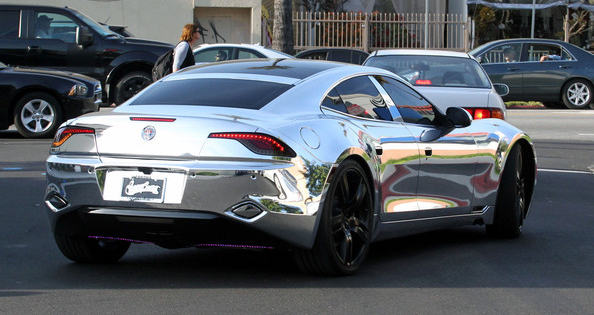 You usually see this chrome wrap done on Audi R8s or internationally in Japan and Saudi Arabia. I think this is going to be the new trend here in the United States. Matte black is played out and chrome is making a come back! I like the contrast with the dark wheels on this car. Chrome wheels would have been too much. 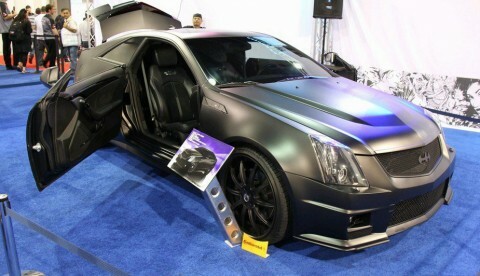 This is Justin Bieber’s matte black Cadillac CTS-V coupe customized by West Coast Customs. 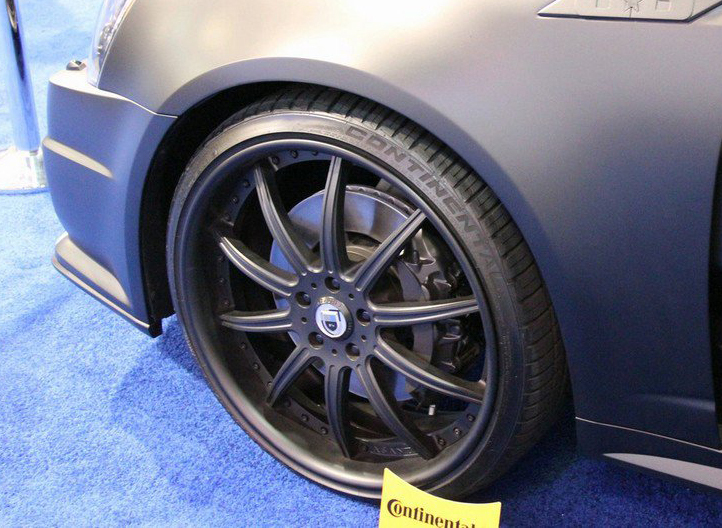 These pictures were taken at SEMA 2011 by GT Spirit. The car has suicide doors and is wrapped in matte black vinyl. It also has a custom audio system that is no joke. It is sitting on 20″ matte black Asanti wheels which look really good on this coupe. I was tempted to give this car a good rating but you can not take it seriously for two reasons. 1) It is a 17 year olds car. 2) It has batman logos all over and is batmobile themed. 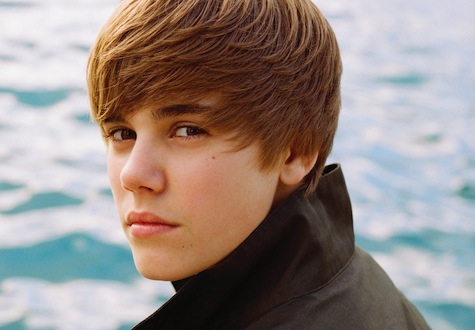 I would have never thought a 16 year old pop singer would have one of the best cars on this website. 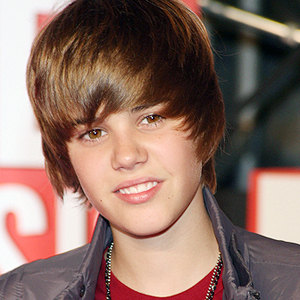 Justin Bieber beats out most of the NBA, NFL, and MLB players. This flat black Ferrari F430 has 20″ gloss black wheels in the front and 22″ gloss black wheels in the rear and red pinstripes to match the red calipers. It looks like its not a vinyl wrap, and it is actually painted flat black. I also like that the wheels are gloss black instead of flat black like the car, the contrast really makes it look nice.